BEING told your child has cancer must be one of the most horrifying things a mother, or father, can hear. Majella Donaghey from Buncrana, Co Donegal, knows exactly what it is like to have her world torn apart with the utterance of those words. And within minutes, inevitably, her life was changed, by one moment on April 1. Jack Donaghey is only five-years-old and like all boys his age, he is looking forward to Christmas. He loves to play and to have fun, just like his peers. But leukaemia has put an end to some of the innocent joys Jack should be enjoying. “Leukaemia has changed so much of our lives,” Majella said. “There are so many things Jack can’t do. Simple things like taking a bath. “He can’t get Freddie wet,” the loving mother explains. ‘Freddie’, is the name the family have given to Jack’s central line – a catheter tube. Attaching the name of a character that a child might not find so invasive, is just one way the Donaghey’s have of dealing with the seriousness of the illness. Jack also can’t get a nasogastric or NG tube wet. This feeds Jack runs from the child’s nose to his stomach, for nutritional support. “He can’t go swimming and he can’t go on play frames,” Majella said. “He can’t be in crowded areas. Unconditional love. 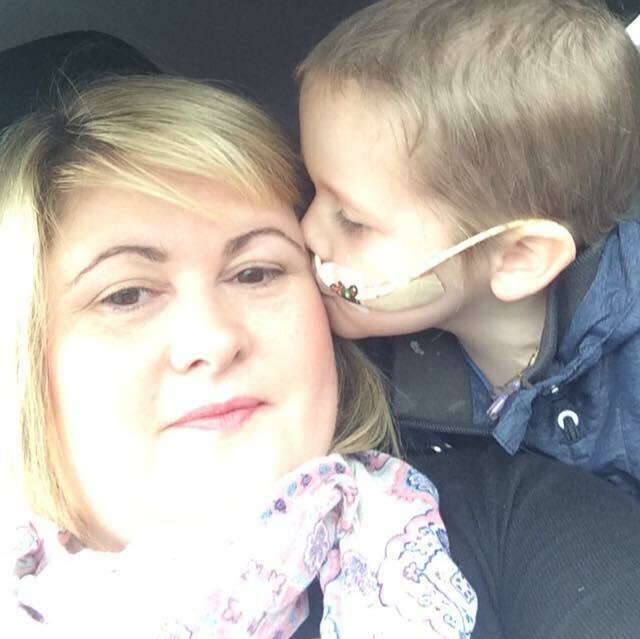 Jack, 5, “Will fight this,” and his mother, Majella will be there every step of the way. As well as the words that would change life in the Donaghey household forever, the family, were also dealt another blow no parents should ever have to deal with. “We were told it would take three-and-a-half years to complete his treatment. “That was another shock,” said Majella. We just didn’t know how we were going to cope. We have three more children at home, one of whom was just a six-month-old baby at the time Jack was diagnosed. “We also have a six and a 13-year-old,” Majella said. And last night, as a large number of Irish mothers tucked their children in to bed and took a little ‘me’ time, before going to bed themselves – there was only one thought on Majella’s mind. This mother would not be planning her day ahead, going to work and juggling childcare. Instead at 4am, while most are still sleeping, she was taking her son on the long, four-hour journey from Buncrana, in the picturesque Inishowen peninsula, to Dublin, where Jack is treated. “Myself and Jack now travel each week to Our Lady’s Children’s Hospital in Crumlin, Dublin for either his chemo, lumbar puncture – chemo in his spine or IV chemo. Loving mum Majella Donaghey and her five-year-old son Jack. “Some of these can be done on a day trip but others require us to stay in Dublin. The parent accommodation at the hospital is up to €30 a night for a double room or family room. “It’s very difficult each week organising sitters and sleepovers for the other kids,” said Majella. “It is with thanks to family and friends, that we manage, or we would never be able to get through this. I know the kids hate to see us going to Dublin every week. Some of our days can start at 4am which is a long day of travelling to Crumlin hospital. As well as the emotional burden which childhood cancer puts on a family, there is also the financial weight. Jack’s family are unable to bring home the finances that were coming in prior to his diagnosis. And so fund-raising is paramount to the everyday well-being of the family and ensuring money is coming in, is a constant struggle for this family and others in a similar position. One such fund-raising event is currently in the process of being staged on Friday, December 11 in Buncrana for Jack. Jessica explained why she was putting on the event, saying: “I don’t know Jack personally but I’ve been made aware of him and his illness over recent months. Once I met him and heard his story, I couldn’t stop thinking about him. I first saw Jack back in September of this year and it broke my heart, and even though he was still smiling, I knew I had to do something for him. It seems that at times like this – families like the Donaghey’s gain strength not only from within their home – but also from the community of Buncrana. Majella said: “The community have been a fantastic support. All the fund-raising to date has helped us more than they will ever know. The performance will not only assist the family, but will help bring residents together, Jessica said. “It will be a night that everyone in our community will remember and help raise much needed funds for Jack and his family,” said Jessica. 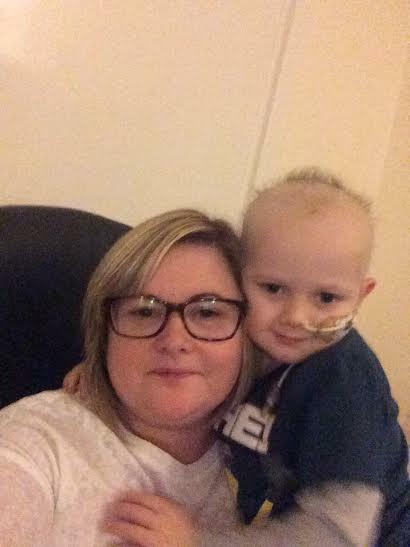 Brave Jack Donaghey, 5, who is receiving treatment for leukaemia. “My own stage kids will be performing on the night and this will give them the opportunity to perform in front of a live audience, with props and costumes: this will really make an impact on their lives too. “Jack is a fantastic child”, his mum said. “He gets up and we make that journey each week to Dublin. He knows he has to do it to get better. “We are so proud of him. If he can’t do something, we just explain why he can’t and that’s it. This could all change as we only have eight months of treatment done. 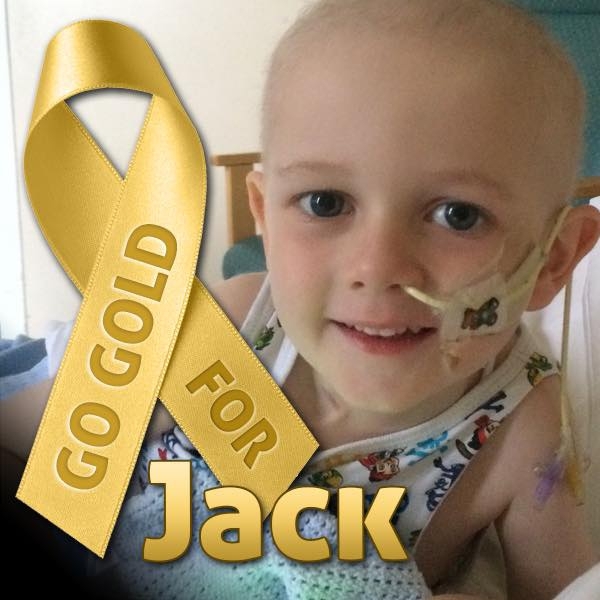 “Thanks to those who have been fund-raising, we can concentrate on Jack and our other children. “I can’t work anymore, as I need to look after Jack each and every day. His dad can take days off work if we need him to be there, which has happened many times. All acts performing are from the Inishowen and Derry area. The audience will hear music from the Broadway and West-End spectaculars of Phantom of the Opera, Annie, Mary Poppins and much more. 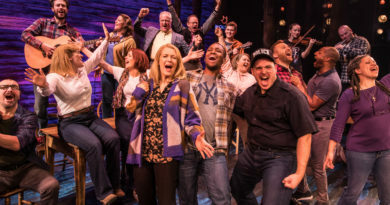 First-time performers will take to the stage, alongside experienced professionals. Majella added: “We are so lucky to have such kind people behind us. 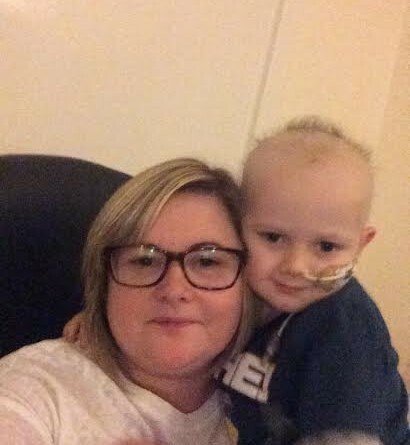 Jack will fight this illness with all he has and when he is older he will understand how much he has been through and how fantastic people have been to him.